Welcome to a mini-course about building and working with chords on the piano. I am excited to share some ideas with you that I have used with my students for about three years, and which has gone over well with them. My secret? Using lego blocks to visualize the building process! Over the next couple of weeks I will be sharing some worksheets, videos, and sample sheet music to introduce this process to your beginning-early intermediate piano students or children. 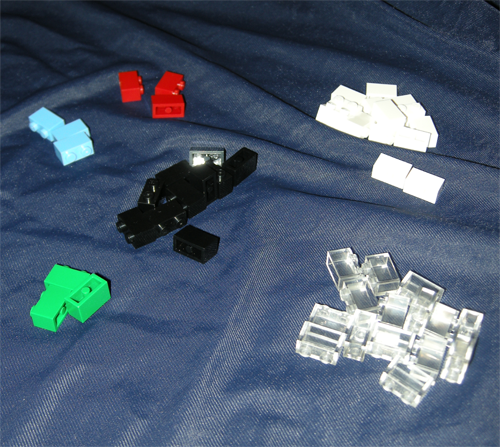 I purchased these blocks from Lego's Pick A Brick webpage, which is part of their store. You can raid your children's lego stash, or you can purchase them online. Purchasing through my link supports this site. Here is a screen-shot of my selecting these bricks. The total came across to be $9.85 plus $4.95 shipping and handling. 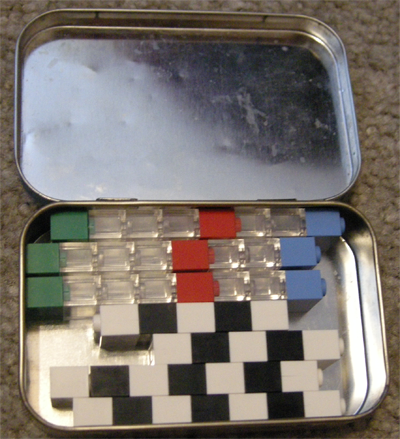 I personally store my blocks in an Altoids tin, which I keep in my piano bag for use during lessons. It is part of my "tool box", and most of my students love it when I pull these out.